According to Mapquest, the driving distance from Berea-Midpark High School to Disney's Magic Kingdom is 1,060 miles. According to Disney, the parade route through the Magic Kingdom is three-quarters of a mile. These miles are just a few of the distances that the Titan Band conquered in their ability to "Go the Distance" at Disney. Chaperons: Donell Bichera, Stephanie Boledovic, Ed Brewer, Simone Galarza, Jackie Goodwin, Jill Green, Berta Hiller, Jeff Hiller, Amy Kurek, Brian Kurek, Katie Rolland, Ross Rolland, and Julie Schuller. The Berea City Schools Treasurer's office for their administrative assistance. Sylvesters Auto & Light Truck Service for conducting a safety inspection and preparing the instrument trailer. Jeff Hiller and sons for cleaning and electrical work on the instrument trailer. The Berea Police Department's K-9 unit. Golden Corral in Orlando and Moorseville, NC who opened early so the band could have breakfast. Everyone at Disney Performing Arts for their invitation and hospitality. Anyone who bought a hoagie from February, 2018 to February, 2019. Luna Marketing in Berea for printing the band's spring break t-shirts and Ashley Boledovic for her design. And of course, the 187 students whose performance and behavior brought pride to Berea-Midpark High School, the Berea City Schools, and the communities in which they live. To travel over a 1,000 miles and perform in front 50,000 international Disney guests really requires everyone to go the distance. If you contributed in any way in helping the band go the distance at Disney, then the video below is for you. 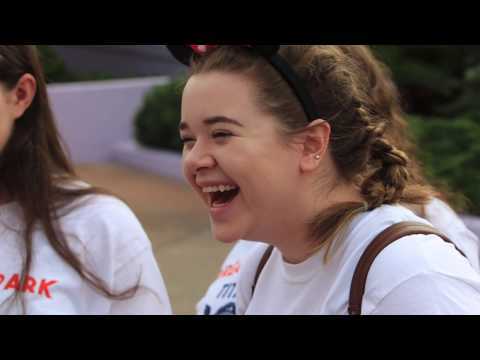 It is a compilation of the faces, the places, and more importantly, the smiles of Disney 2019. If you would like to see more photos from the trip, please feel free to visit the band's website by clicking here or you can visit the band's Facebook page by clicking here. By now you should have figured out what song we used to make the attached video. If not, here's a clue ... it's from a Disney movie. Again, a THANK YOU to all who helped the Berea-Midpark Titan Marching Band "Go the Distance" at Disney. Oh ... and approximately 1,452 days until Disney 2023.